Climate change may be the biggest issue of our day, but addressing it may depend on how we talk about it. There appears to be a split between believers and skeptics, but researchers at Indiana University’s Environmental Resilience Institute find that the disagreement is about the source of the problem, not the need for action. And this is where the opportunity lies. In a recent article in the Conversation, Matthew Houser and Andrea Wenster of the Environmental Resilience Institute ask: If skeptics will not accept the reality of human-caused climate change and that it’s here to stay, what can be done? 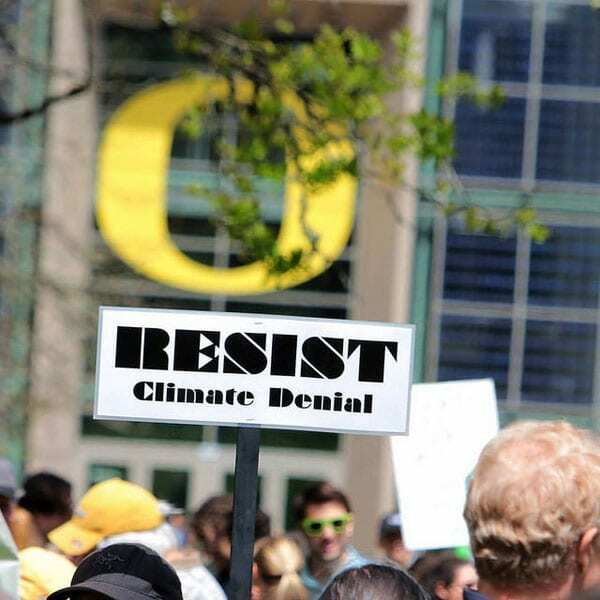 The Institute finds that while the Midwest is “a key contributor to climate change in the US” and is itself threatened by climate change, those who identify as politically conservative or Republican are also increasingly skeptical about it. They define the Midwest as Ohio, Michigan, Indiana, Illinois, Wisconsin, Iowa, Missouri, and Minnesota (all currently red states except Illinois). In Indiana, for example, 46 percent of Republicans and 80 percent of Democrats believe in climate change. The more educated the conservative, the more confident they are in their skepticism. Resilience focuses on implementing household or community practices that reduce vulnerability to the impacts of climate change. For instance, the risks of flash floods from heavy rain can be reduced by installing water-absorbent green infrastructure, like permeable pavement and rain gardens.